Well, the EP is finally out. Congrats, Mark and Jan, on your latest work. It sounds great on the computer, on the ipod, on the stereo and in the car! Just wanted to let everyone know the latest four tracks from Jan and Mark absolutely ROCK. Last edited by Mike; 27/09/09 11:32 PM. you and Jan are the most unbeatable fantastic incredible musicians in the world, you two have earned more then a gold metal you have earn your silver wings of the wolf to fly the lady. Oh, and incidentally, during this "ugly" period, I find the "ubbthreads-dark" theme isn't quite as garish as the default lighter one. Every one of the EP pieces was performed magnificently! My absolute favorite would have to be the 2nd/3rd Season Closing Titles... the lead-in drum beats followed by the rest of the theme being pieced together... well, let's just say I love it when artists do that. My only nitpick (a small one) was on the 1st Season track, where we hear the drum hits that lead into the main theme, before the finale, and out of the main theme (ala "Mad Over Miami"); I could hear them, but I felt they weren't brought out enough, as in comparison to the ones heard on the "Mad Over Miami" Cuban attack run. Not trying to bash Mark or Jan for their hard and great work at all. Just thought I'd add my two cents! P.S. What are the chances for a full render of the 3rd Season Theme, as heard in "Kingdom Come" or "The Deadly Circle," for the 2010/2011 release? Again, great job, guys! Can't wait for Airwolf Extended Themes! Mark and Jan, you guys have outdone yourselves yet again. Simply marvelous . My favorite has to be the first season synth. music. It's uplifting. By the way guys, I noticed that you guys chose to compose lot of season 2/3 themes? How so? I get they are great but season 1 too has lots of great tunes. What about the orchestral from episodes like Echoes From The Past or Pilot itself? Many thanks guys. Jan really nailed everything as far as I'm concerned and the credit has to go to him. 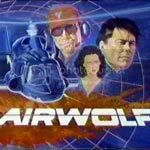 Airwolf04 / Wolf873 -- pretty much everything listed in your posts will be addressed in the later, CD release of 'AIRWOLF EXTENDED THEMES'. Thanks, Mark. I hope the CD sees a 2010 release. Really looking forward to these in the morning when I can crank the stereo UP !!!!! Gotcha beat. I already did this with my iPod. Driving from A to B hasn't been this much fun or quite this stylish in a while. Damn these tracks sounds as good as the originals on the show, if even better! Bought them Saturday and havn't listen to everything else and I even listen to them in the car with the volume very HIGH lol! I've just purchased the MP3 pieces of Airwolf Main Themes EP and they are really wonderful. Mark and Jan, I appreciate your devotion and hard work for it. Thanks. The 1st Season Main Theme Extended has SERIOUSLY taken me right back to the age of 11 when I sat slack jawed staring at the TV every Friday night watching this magnificent sleek metallic beauty rise out of her wintry hiding place, howling and screaming as she glides majestically through the snowy terrain. Awesome, gentlemen, truly awesome and entirely as I expected it to be - PERFECT. What an absolutely fantastic job you guys have done! Well worth the wait. The tracks really are hair standing on the back of your neck stuff and as close as hell to the original!! Roll on the sequel CD if this quality is anything to by, well done guys, top notch stuff!! Enjoying it so far, i do however have to make note of something in the first track, at around 4:45 when the music enters its "da da da daaa" section first time around it plays 4 times then 3 times. Just sounds slightly strange like an extra slice has been added and not noticed. gerv, if you have your Airwolf Season 1 DVDs handy check out "Proof Through the Night" finale aerial. That's where I got this extra chunk from! Well, that's what I was trying to accomplish. I'm glad it works out! Season 1 synth theme has always been my personal favorite and it took a lot of time to produce a version that was acceptable... to me! My only nitpick (a small one) was on the 1st Season track, where we hear the drum hits that lead into the main theme, before the finale, and out of the main theme (ala "Mad Over Miami"); I could hear them, but I felt they weren't brought out enough, as in comparison to the ones heard on the "Mad Over Miami" Cuban attack run. Not that you said that, maybe it should be a little more prominent, but to excuse myself let me just point out that if you compare the dynamics of "Mad Over Miami" and "Fight Like a Dove" synth themes, they sound completely different anyway and yet it is the same theme. Glad you like it. My long-time favorite as well. By the way guys, I noticed that you guys chose to compose lot of season 2/3 themes? How so? 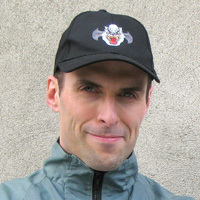 Well, Season 2 had the highest number of different variations of the theme and there will be even more of them on Airwolf Extended Themes. I get they are great [...] What about the orchestral from episodes like Echoes From The Past or Pilot itself? The theme id love to hear is from the episode (can't remember its name right now) where near the end airwolf is in the back of a cargo plane, falls out parachutes etc and engages migs. That theme to me really captures all of what airwolf is about. Above im talking about Echoes From the Past, my brain finall re-engaged.